Last week Spartan Games changed its logo from its traditional crested Spartan helmet to a different kind of Spartan helmet, one more familiar to video gamers and fans of the Halo series. Speculation flowed on Spartan's forums as to what this meant and Spartan even fuelled the speculation by telling us that there would be a big announcement this week. 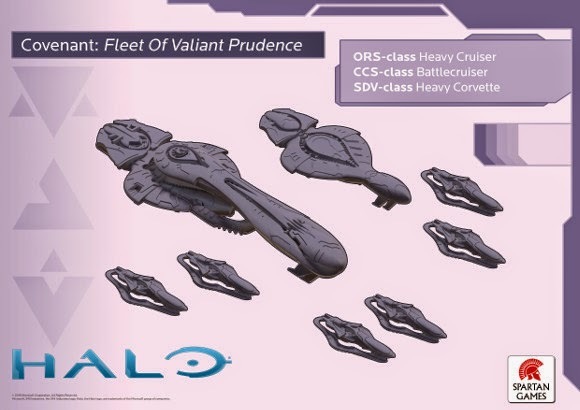 I woke up this morning to find that there had indeed been a big announcement, Spartan will now be making a fleet based and ground based wargame for Halo and has already produced images of two stater fleets for the UNSC and the Covenent. 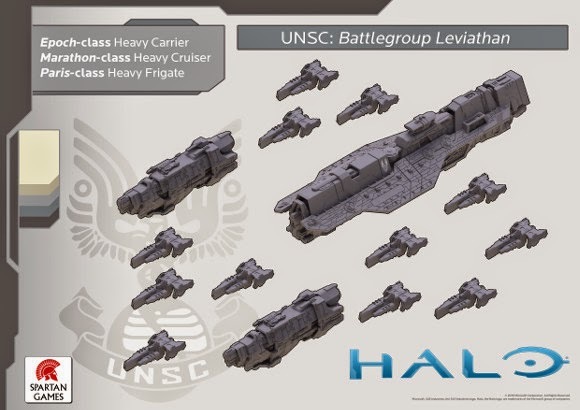 Now i am a big Halo fan and will be defiantly pre-ordering the UNSC fleet but what i found most interesting was that there was no mention of a new rules set in Spartan's announcement post, and seeing as they already have a very good set of Fleet and ground based rules perhaps the Halo Wargame will use the firestorm and planetfall rules with Halo factions, but at this stage that is just speculation. Regardless this is exciting news and i cant wait to see what Spartan produces. Until next time. Incredibly excited for this release. Been replaying all the campaigns since the official announcement. I really hope they make a small scale ground based mass battle game as the first planetary option.